Home » What is the Purpose of the United States for Withdrawing Troops from Afghanistan? 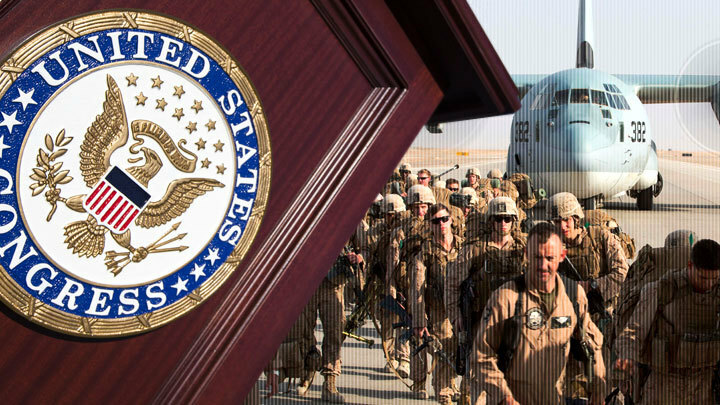 If the law is enacted, the United States must declare ... victory in Afghanistan and, within 45 days, develop a plan for the withdrawal of all US military personnel from that country within a year. This initiative is intended to lay the "foundation for political reconciliation to be carried out by the Afghans." It also provides for the annulment of the permission to use military force against terrorists of 2001, granted by the Congress to the president after the September 11 attacks. In other words, it is planned not only to withdraw all American military forces from Afghanistan, but also generally to leave it alone. Commenting on this bill, The National Interest writes with satisfaction that the US military has achieved its main goals. Bin Laden is dead. Al Qaeda has been crippled. The Department of Defense reported last June: "The threat of Al-Qaida to the United States, its allies and partners has diminished, and the few surviving key members of Al-Qaida are focused on their own survival." Everything is good as ever. ” According to opinion polls, 61% of Americans support the withdrawal of troops from Afghanistan. The National Interest considers this reaction to be correct, and the arguments of its American critics - false. Otherwise, it turns out that "US troops should never leave any place where terrorists once appeared - or may appear in the future - because this is a recipe for war, not limited by geography and time." The US military has been in Afghanistan since December 2001. At the peak of the campaign against “terror” in 2010–2013, the number of Western troops in this country exceeded 150 thousand people, their backbone were Americans. The main combat forces of the United States and NATO were withdrawn from Afghanistan in 2014. At present, the 14,000-strong mission of instructors and advisers of the alliance remains there, and the Americans still set the tone. However, government security forces are very poor at their tasks. Up to 60% of the territory of Afghanistan during the day and 85% at night, is controlled by the Taliban, "defeated" by the Americans and their allies. In Kabul, bloody terrorist attacks are constantly taking place. The United States is negotiating with the Taliban to end the war and have already announced the imminent reduction of approximately two hundred thousand troops deployed in Afghanistan over the next few months. As stated in his latest address to the country, US President Donald Trump, who from the very beginning wanted to withdraw the troops, "great nations do not lead endless wars." In the end, the reputation of American generals who have made their careers in Afghanistan, which will collapse when the Kabul regime quickly collapses after the departure of Western troops, can be sacrificed. US geopolitical interests are above all.